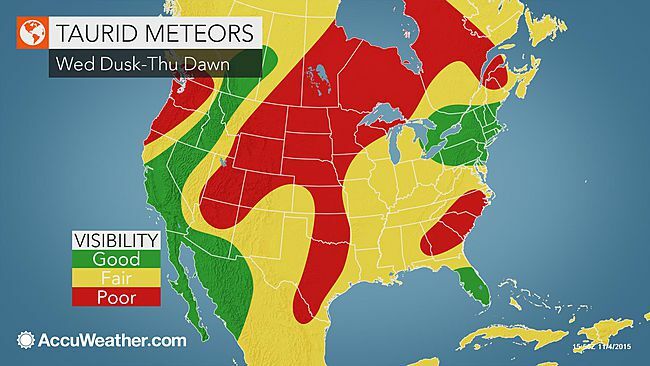 AccuWeather Global Weather Center – AccuWeather reports cosmic fireballs will occasionally light up the night sky as the Taurid meteor shower approaches its peak into next week. This entry was posted on November 5, 2015 at 7:48 pm and is filed under star watching, weather. You can follow any responses to this entry through the RSS 2.0 feed. You can leave a response, or trackback from your own site.